Raytheon UK’s Integrated Power Solutions (IPS) business unit has developed a high temperature, small form-factor bridge leg power module. Aimed at high speed switching applications, the module has potential uses in the aerospace sector as it requires minimal external cooling and presents considerable weight saving opportunities within the More Electric Aircraft power system. Also, by supporting applications in harsh environments and in meeting high operating temperature demands, the module can also be used in the geothermal power and oil and gas sectors. A prototype module has currently amassed more than 1,000 hours of stable operation at 300˚C; a temperature at which traditional Silicon-based semiconductors cannot operate. Tests on the module, which includes two 1,200V Silicon Carbide (SiC) Bipolar Junction Transistors (BJTs), have been performed switching 500V at room temperature and switching 200V at 300˚C. 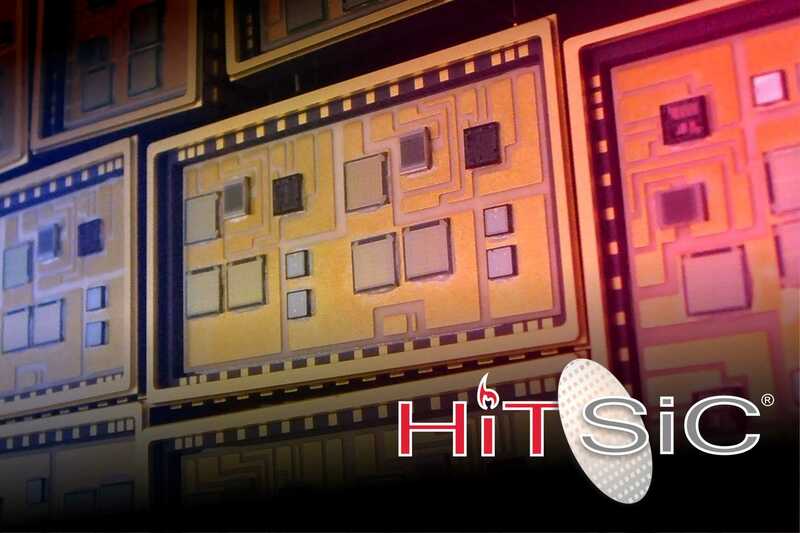 The BJTs are controlled by integrated base driver circuitry, fabricated using Raytheon’s propriety High Temperature Silicon Carbide (HiTSiC) process. The under-test switching speeds of Raytheon’s prototype high temperature bridge leg power module are exceeding expectations. When switching 200V, the turn on-time at room temperature is 20ns. This increases linearly to 40ns at 300˚C. The module is packaged in a 32pin Hermetic Dual In Line (DIL) ceramic package measuring approximately 40mm x 23mm.